On the Yahoo Sports MLB Podcast, (which is a great national baseball podcast) writers Jeff Passan, Mike Oz, and Tim Brown have a segment called “fresh or tired” in which they debate whether or not something in the baseball universe is still cool or worn out. 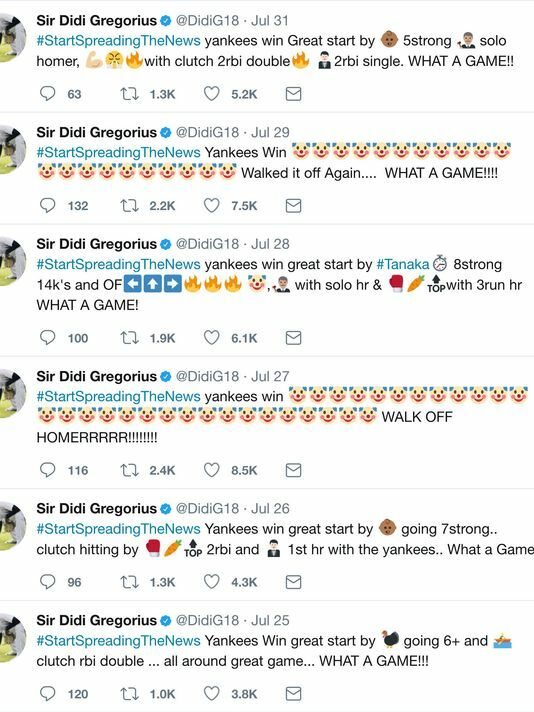 A few months ago, they talked about our beloved Sir Didi Gregorius’ postgame emoji tweets (segment starts at 1:08:00 mark). Shoutout to Tim Brown for saying that they are fresh! As for Jeff Passan and Mike Oz, well they said that the tweets are tired in part because there were too many emojis and they did not understand them completely. Which is in part why we are here – so welcome to the Didi emoji tweet guide! Last year, the Associated Press ran an article with some of Didi’s tweets, which you can see below. A fun nugget in the article is that players do not always know why Didi chose their emoji and Didi refuses to tell them. 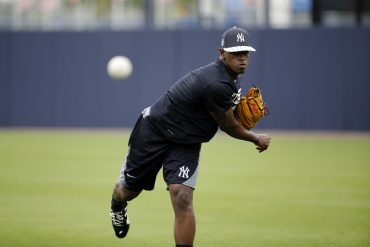 Luis Severino is the baby, though that changed this year. Aaron Judge is obviously the judge. The clown is Brett Gardner, and if you listen to R2C2 (highly recommend) you know that Gardy is basically the team clown and likes to play jokes on people. The clock is for Masahiro Tanaka because Didi thinks of Tanaka’s starts as “Tanaka time.” The boxing gloves and carrot top is one of my favorites – they represent Clint Frazier most likely because of his quick hands and red hair. 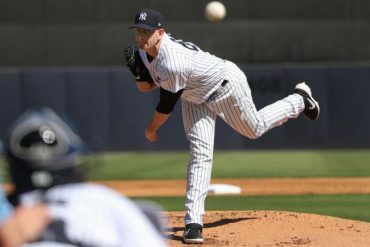 In the last tweet, the turkey is for Jordan Montgomery for reasons that are unclear but likely either 1) because Monty pitched for the South Carolina Gamecocks or 2) because he has long limbs and his nickname is Gumby. The rowboat is for Austin RO-mine and I like to think of it as my spirt emoji because my name is RO-han. This year, Didi has stepped up the tweets and has a whole host of new players to depict. Below are some of my favorites. 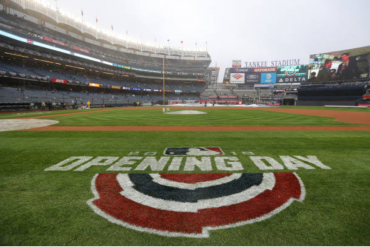 The Yankees had a great opening day victory up in Torono and Didi certainly celebrated. Severino was upgraded from baby to boy. We got our first look at the Giancarlo Stanton emoji which is a volcano. In our preseason predictions we tried to guess what Stanton’s emoji would be and Didi surprised us all. Didi also brought out the celebration emojis for this win which he uses every so often to celebrate a first hit or other milestone for teammates. This tweet was from the home opener which everyone remembers for Didi’s 8 RBI day. Of course our humble knight has never acknowledged himself in a tweet (naturally everyone uses the interlocking swords for him because he is a knight) so all we have is the child emoji for Jordan Montgomery (Did switches between turkey and child for him) and the fire emoji for the bullpen. In this tweet we again see the boy for Sevy and volcano for Stanton. We also have our first look this season for Gary Sanchez as the octopus, most likely because Cashman compared calling him up to releasing the kraken back in 2016. Last but not least, beloved Ronald Torreyes gets a shoutout as #ToenightShow likely in reference to the pretend camera filming and interview they did in the dugout last season with Toe. Ah this game. It was the first BP Crew event of the season and while we were all freezing, Sonny Gray was sunshine for a day. Tyler Austin is also #pikachu, most likely because of socks he wore last season. Here we have the Hicks as the old man emoji which I think is because Hicks is bald. There’s also the nice play on one over the fence homerun and one inside the park. Everyone’s favorite large lefty is represented with the Santa emoji. Maybe because of CC’s size but also possibly because CC likes to grow a beard. There is also Tyler Wade as a sleuth which I think is a poor choice because Wade himself has no idea why Didi made that decision. Also Torreyes is sometimes called #BigToe instead of #Toenight Show. 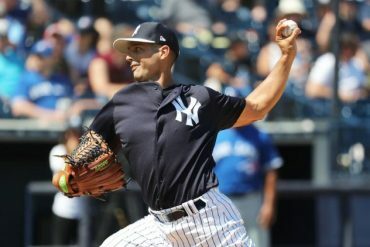 #StartSpreadingTheNews yankees win great start by 🦃 going 6strong innings … 🔥🔥bullpen🔥🔥 👹 with base clearing double … 👨🏽‍⚖️ with a 2 run homer … 🔥🔥offense🔥🔥 All around great Game!! Alright, this is my favorite one. For some reason, and honestly if anyone can figure this one out they’re a genius, Miguel Andujar is Japanese Ogre. I have gone down a Wikipedia rabbit hole and watched a 20 minute Youtube video to try and understand the connection, and here is all I got. The Japanese ogre is one of the Yokai, which is a supernatural creature. The specific emoji is a Namahage. During a New Year’s ritual, men will wear masks of this creature to ward off evil spirits and demons. So my best guess is Miguel Andujar somehow protects the Yankees from evil, possibly similar to Pedro Cerrano in Major League. #StartSpreadingTheNews yankees win Great start by Tanaka⏱ going 6+ innings … 🍼 with his first major league hit… 👹 with solo homerun 🌋 with a solo homerun and 🚓 with a 2run homer .. 🔥🔥bullpen🔥🔥 all around great game … WHAT A GAME!! 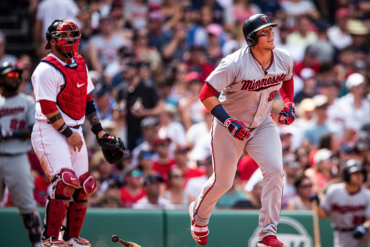 Gleyber Torres is the baby bottle because of his age most likely and in a shocking twist, Tyler Austin was changed from #pikachu to a police car after the brawl at Fenway in April. Domingo German gets the ant emoji for reasons that are unexplained. And even Didi seems to be amused with himself with the grinning faces in this tweet. #StartSpreadingTheNews yankees win great start by 🎅🏾 going 5+ innings getting 1500 strikeout on the yankees list …. 🥦 with solid 1+ inning and 🦕 with a solid inning… 🔥🔥offense🔥🔥 sac fly by 🚣‍♀️ … and 🇨🇺 🚀 to close it…. WHAT A GAME!!.. We finally get some relievers! Chad Green gets broccoli because duh and in beautiful fashion, Dellin Betances becomes a sauropod dinosaur, no doubt because of his height and long limbs. 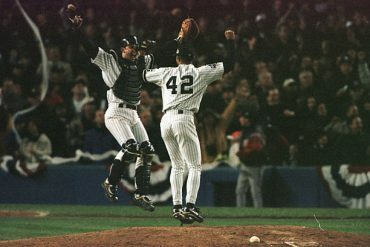 And at the end we get the Cuban missile for Chapman. #StartSpreadingTheNews yankees win great start by ☀️ going 5strong with 5k’s🔥🔥, 🌋 with the sac fly, 🚣🏼 with the rbi double, 🐦 with the sac fly🔥🔥🔥 and Yankees debut for 👨🏻‍🔧…. 🔥🔥🔥 WHAT A GAME!!.. Of course nothing would be complete without Greg Bird having the Bird emoji. New Yankee Zach Britton is shown as a mechanic…not sure why there. 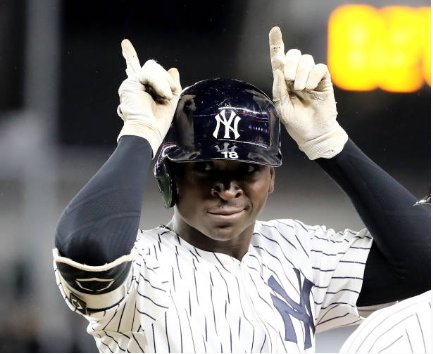 Didi Gregorius has warmed himself up to Yankee fans not only through his stellar play but with his amazing personality. His tweets are just one reason why we love him. And the best part of every Didi tweet? It means it is time to #StartSpreadingTheNews because the Yankees won.